“Crippled in his right arm and leg, Aaron spent his childhood fending off a sister who wants to manage him. So when he meets Dorothy, a plain, outspoken, self-dependent young woman, she is like a breath of fresh air. Unhesitatingly he marries her, and they have a relatively happy, unremarkable marriage. But when a tree crashes into their house and Dorothy is killed, Aaron feels as though he has been erased forever. Only Dorothy’s unexpected appearances from the dead help him to live in the moment and to find some peace. Rarely do I struggle with finding the positives in a book, but The Beginner’s Goodbye might be a first for me. I found this book so boring that I almost didn’t want to finish it. However, I had a 4+ hour flight and nothing else to do, so I soldiered on, and was incredibly disappointed that I hadn’t found a better book to read. The premise was interesting enough, albeit pretty unoriginal — man’s wife dies, wife comes back from the dead, man learns to move on… — but the novel did nothing to live up to that interest. I found the characters to be flat and underdeveloped and, for the longest time, I couldn’t even remember the protagonist’s name until I read my short review on GoodReads! I also found it annoying that Tyler never does say what Aaron’s childhood illness was. I can stand a little ambiguity in my novels, and maybe that plot point wasn’t as important to other readers, but it really bothered me. Clearly I am in the minority, at least on GoodReads, with my low rating and opinion of this book. I noticed fans saying they love Tyler’s sparse style — there is a difference between being sparse and not developing your characters or your plot in an engaging and meaningful way. When I read a book, I want to care about the characters and their pasts, presents, and futures. I didn’t care about any of these characters in the slightest because they didn’t strike me as real. The basis of Aaron and Dorothy’s marriage — he was fussed over too much as a child and thus married a woman who was not a fusser — is shallow. In the few passages Tyler dedicates to their marriage, there is no indication that this is a couple that makes sense and belongs together. I’m not saying that doesn’t happen in real life, but, honestly, I would expect a little more from a Pulitzer Prize-winning author who is supposedly a “national treasure” (although not all winners make sense to me). Maybe my reading was just bad timing — after Lamb, which was a wonderful read, I was on a bit of a high, and The Beginner’s Goodbye sent me crashing back down. And, admittedly, I am still reeling from the beauty of Bel Canto — one of the few books I’ve read for this challenge that I just can’t stop thinking about — and I was hoping for something equally as amazing. I think an added challenge for me will be to try and read each book as if it exists in a vacuum, to try and identify strengths that can only exist for that book in that moment. I think playing around with how I write my reviews — dedicating a section for strengths, weaknesses, maybe even what I would query the author if I were an editor — might help, so maybe I’ll experiment with different styles as I progress through my challenge. Back to the matter at hand. The Beginner’s Goodbye was disappointing, the characters were flat, the ending was cliched, and it was just too short to really make the plot work. 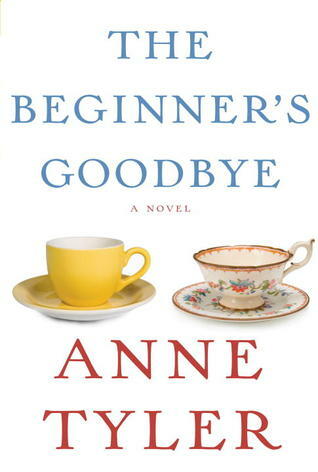 Tagged Anne Tyler, bel canto, Lamb, marriage, The Beginner's Goodbye.